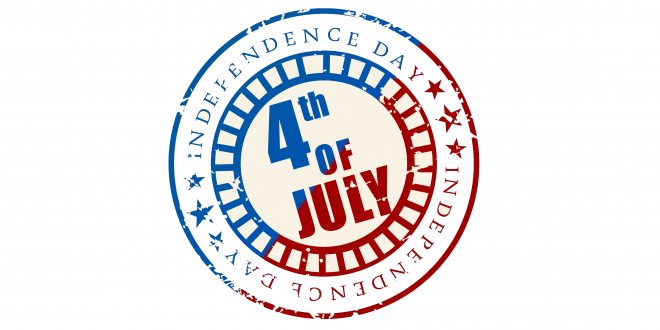 You’ll probably want to share this comprehensive post with your friends– the 4th of July is just one week away! Toddland raised their giant American Flag for the 4th year for the 4th. If you don’t know where it is, it’s the building in the middle of the intersection between Malarky’s and Newport Beach BrewCo– you won’t be able to miss it if you’re coming onto the peninsula from that direction. Special thanks to David Ballard Electrical Company for providing the cherry picker to reach the top of the building with! The money for this enormous flag was raised by donations from the friends of Toddland (disclaimer: including myself!) totaling no more than $20 each, showing that small donations really can accomplish big things. Special thanks to everyone involved for bringing about this great Newport tradition! When: 1pm to 3:30 p.m. Details: This patriotic-themed parade will start off Collins Island and proceed throughout Newport Harbor. A Harbor Patrol fire boat will lead close to 100 decorated boats through the harbor. The event sponsor is the American Legion Yacht Club. When: 8 a.m. to 11 p.m. — two hours longer than last year! Details: Food and live music start at 2 p.m. A beer and wine garden pass is $40. Fireworks start at 9 p.m. Details: Starts at 9am and ends at a free festival including carnival games, jump houses, arts & crafts and food. Participants are encouraged to decorate bikes, scooters, wagons and strollers and to bring their dogs on leashes. Details: At the festival, there will be food for sale, and wristbands available for purchase that will allow participation in games and activities. Fireworks will begin here in Newport (Back Bay) and at surrounding cities at around 9pm. Get to a high spot in order to have the best viewing. From Balboa Peninsula, you can see at least 6 cities from 2 stories up. NOTE: For people who have fireworks, remember that Newport Beach has banned responsible adults who want to celebrate the birthday of the Land of The Free using fireworks, even including things like sparklers, so be careful out there. The police will be using a Show of Force on Balboa this year, in an attempt to stop what Diane Dixon describes as “inappropriate celebrations”. This will now be the sixth year of the roads NOT being shut down. Expect that there will be a continuing effort to erode and destroy over 100 years of traditional street celebration on Balboa. Do you think it is appropriate to allow cars to drive through tens of thousands of people– most of who probably have had a drink or two (or three)? I believe this is one of the most irresponsible actions our city has taken over the last several years. We ALL know what happens on those roads, and we need to close them for the safety of everyone. Have your voice heard and email citycouncil@newportbeachca.gov to let our city know. This is a huge safety issue being completely ignored in order to accomplish a political agenda. If you are coming to Balboa Peninsula, consider riding in an Uber, Lyft, or cab. The police will be out, the drunk drivers will be out, and the parking will be absolutely atrocious (it already is). New users of Lyft can use our code of “SAVENEWPORT” and it will pay for the whopping first $50 of your fare! New users of Uber can use our code of “Uber4Newport” and it will pay for the first $15 of your fare. Remember, the Downtowner has been run out of business by Councilwoman Diane Dixon’s “trolley” (aka: public bus) idea, so don’t rely on them. Dixon’s “trolley” will be operating on the 4th, but don’t expect that behemoth to be able to navigate in or out of traffic at anything faster than the speed of tectonic plates. If you have a dog, I cannot recommend more highly the Thundershirt to keep them calm from the noise of fireworks on the 4th. 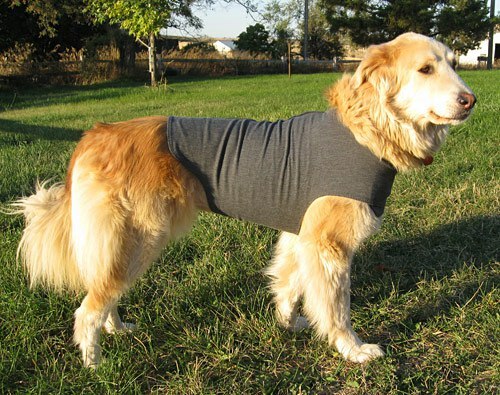 I don’t know why being constricted and wearing shirts has a comforting effect on dogs when they hear loud noises– but it does! If you buy them online (look at Amazon or eBay) you can have them by the time the fireworks really hit. Stock up!!! If you live on the Islands or on Balboa, you know parking spots will be gone this day– even if you wanted to brave the traffic– so use services like Drizly to deliver alcohol, PostMates, Uber Eats, GrubHub, or Doordash for food, or many other services which are springing up throughout Newport. Or, if it comes down to it, simply call a ridesharing company to help you get to and from the store. In a blatant violation of the 14th Amendment, these fines are tripled on the 4th of July only in the “Safety Enhancement Zone”. But hey– we can fight that battle on July 5th. For now, let’s celebrate the spirit that our country was founded in, rather than where it is today. Finally, police from other cities will be enforcing out here, and they don’t know the area, the laws, the customs, or the people. Year after year, there are dozens of reports about overly-aggressive police from other cities ticketing and even attacking people from Newport Beach who are obeying the law. So even if you aren’t doing anything wrong– be safe out there! But most of all: ENJOY THE 4TH!!!! Next Boat Auction on Friday Morning!